Arman is a former alpine skier with the Armenia Ski Team. Since his father took him down his first slope at the age of 2, Arman immediately fell in love with the sport. Growing up, his Armenian parents continuously took Arman and his younger sister (2010 Vancouver Olympian) to the mountains in Lake Tahoe, California each and every weekend. 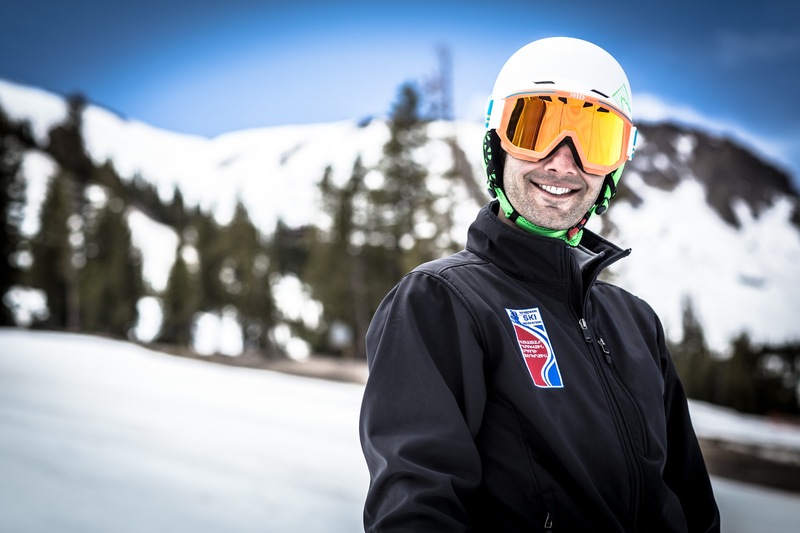 During high school, Arman decided to graduate early to focus solely on ski racing with the goal of pursuing his lifelong dreams: making it onto the World Cup circuit and eventually to the Olympics. After a knee injury curbed his efforts in 2006, Arman enrolled at and began skiing for the University of Colorado at Boulder. Skiing for the seventeen-time NCAA national champions was an experience he will never forget. As captain, Arman helped lead the Buffaloes to 2nd place finishes at the NCAA Skiing Championships during both the 2009 and 2010 seasons. While competing for CU, Arman also simultaneously represented Armenia in International Ski Federation (FIS) competitions across the world, including competing in the first-ever FIS sanctioned races held in Tsaghkadzor, Armenia during the 2009 season, where he placed on the podium all three races. It was during this trip when Arman was able to meet and spend time with many of the Armenia Ski Team athletes & staff, with whom he still regularly keeps in touch. After exhausting his four years of eligibility as a collegiate athlete, Arman was brought on and hired as the assistant coach for the University of Colorado Buffaloes, helping them win their eighteenth NCAA title in 2011. While in college, Arman made the decision to pursue one of his other dreams: to become a physician and surgeon. With his hard work and the help of many around him, he graduated with a Bachelors and Masters degree in Integrative Physiology and was accepted to Temple University School of Medicine in Philadelphia, PA, where he took out loans and began his studies in the Fall of 2011. Even with his demanding academic aspirations, he never gave up on his passion for skiing and physical activity, attempting to maintain top physical conditioning by spending hours in the gym after classes, as well as biking and running through his new city. Through all his experiences, Arman still found time to enjoy his favorite hobbies including yoga, tennis, cooking, and playing piano. As his second year of medical school came to an end, and the intensity of his training program increased even more, he was determined more than ever to make the most of a once-in-a-lifetime opportunity: to try and qualify for the 2014 Olympic Games. Arman committed to taking a year off from medical school, postponing his graduation to pursue this goal. A strong support system has always been a part of Arman’s successes, and this was no exception. Although the Armenia Ski Federation guaranteed full support for Arman, they were unable to financially assist him. With the high cost of ski racing, and the increased demand for world-class equipment, training, and coaching, Arman and his team raised over $60,000 through a strong grassroots effort to fund his training and competition program. The continuous passion Arman has for the sport of ski racing, combined with his perseverance, work ethic, and everyone’s support propelled Arman onward to the Sochi 2014 Olympic Games where he placed 46th in the giant slalom, 34th in the slalom, and the honor of being chosen as closing ceremony flag bearer! Following the incredible experience, Arman spent time giving back to the communities that supported him by visiting schools and giving talks in Armenia, San Francisco, and Philadelphia. He returned to complete his medical school education (with honors) and matched into one of the most competitive residency programs in the country: the highly coveted Harvard Plastic Surgery Residency Program. He now resides in Boston, MA where he continues to apply his hard work ethic and charisma towards excelling in his surgical training.